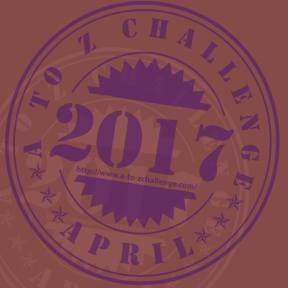 Have you had a good 12 months with gamebooks? Very good! Fabled Lands Publishing re-released my four Virtual Reality books, now under the Critical IF series label, and five of the Golden Dragon gamebooks. The latter will also be coming out as apps from Tin Man Games later in the year. FL Publishing also gave Megara a licence to do a limited hardcover edition of Way of the Tiger, funded by Kickstarter, and we'll be publishing those in paperback and licensing to Tin Man to do the apps. 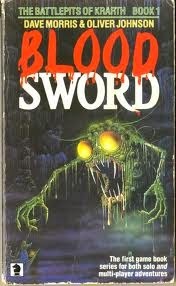 And I'm just in the process of commissioning covers for new editions of Blood Sword. All in all, I don't think I ever had a more gamebook-packed year, not even back in the early '90s! What gamebook related projects are you doing at the moment? I'm working with Leo Hartas on an all-new gamebook that we'll probably do as an app. It's set in the world of Legend from Dragon Warriors and is open-structured like the FL books but with a core storyline. I'm also consulting with Ashton Saylor and Jamie Thomson on their Wild West horror gamebook, I'll be editing Blood Sword for re-release, and maybe Keep of the Lich Lord too. What do you have in the pipeline that is non-gamebook related? I've been developing a TV project, a 24-episode, time travel adventure for a family audience. It's an original concept that I created, not an established show, so it's a long shot in the current era of tightened budgets, but still a lot of fun to work on. It's been getting a lot of enthusiastic feedback from the broadcaster (I can't say which at present, but not hard to guess) so if that gets the green light I may have to sideline the gamebook projects for a while. You've been thinking about using crowd funding to fund some books. What will convince you to do so? It would have to be for an app. When you Kickstart a physical book, the printing and shipping eats up most of the funding. Megara is reprinting Blood Sword - will you change the system to remove the maligned maps, or do anything else to simplify it? Actually, that's all changed. Megara were going to do Blood Sword but they've decided to focus on Way of the Tiger instead now. 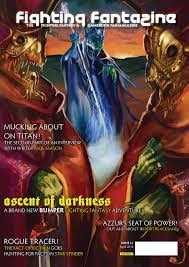 So Fabled Lands Publishing will release new editions. We've got Megara's Mikael Louys art-directing new covers for us. The interior illustrations will be by Russ, of course. Currently I'm planning two versions. The classic edition will retain the tactical maps but I'll print them full-page so you can actually use them. Then, later, I'll do a streamlined edition with much simpler rules. I'd also like to turn those books into apps, because the tactical rules and maps would really work in that form, but first we need to find a developer who can do it. We like Tin Man, but what I have in mind is more Warhammer Quest than a straightforward gamebook app. Inkle could do it but they are justifiably swept off their feet working on Sorcery. These days, the strategic marketing. Do I write a gamebook in the style of the old '80s or '90s ones, which will please the tiny handful of diehard fans, or something new like Frankenstein? I prefer the latter, and it has the advantage of being commercially successful, which never hurts. 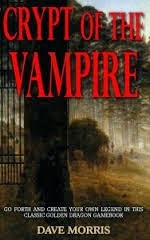 But I work at getting the old books back out there so that the fans with traditional tastes are catered for. It's still that moment when somebody is talking about a discovery they made while reading it. Like, as the monster: "I found an old coat on a scarecrow, and when I put it on a man saw me across the field and waved!" You set up these moments of emotional journey or exploration, like sparks, and it's great when they ignite in someone else's imagination. Being told what to think or feel. Those writers should just do a novel. Also death paragraphs that are there solely to prune the flowchart so that the writer doesn't have too much work. You leave the dungeon? Oh, you're dead, then - just because he or she couldn't be bothered to let the adventure go off in that direction. You have to have walls, of course. The trick is to make them not seem like walls. I'm a roleplayer, so I like books with a sense of freedom. Steve Jackson's Sorcery books were pretty good for that. They were a linear adventure but they conveyed a sense of sandbox exploring around that central thread. 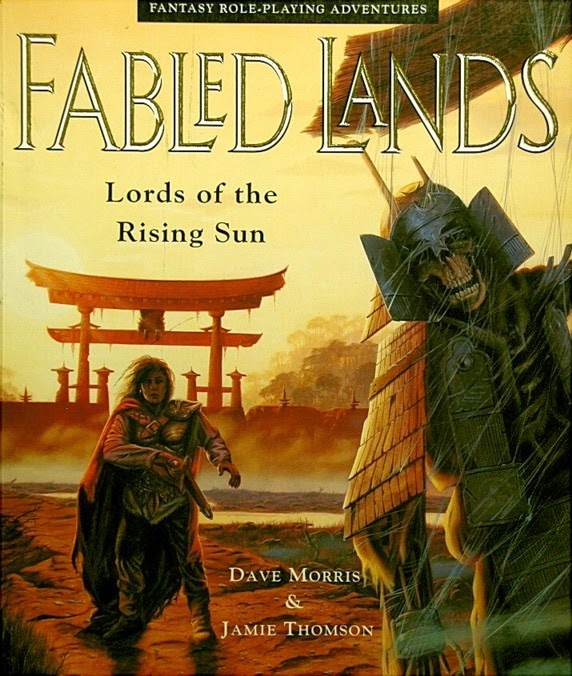 My ideal gamebook is something like Fabled Lands. That's why Jamie and I created them, I guess. 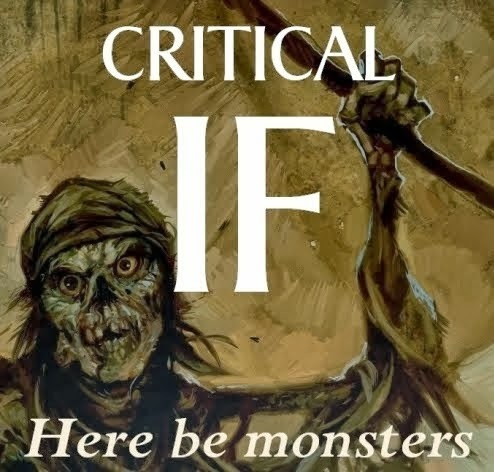 We'd love to do those as apps, to really do justice to them in the way Inkle have treated Sorcery, but most of all I'd just like to turn them into a full-on CRPG like Drakensang. Don't rush in, do the planning first. I don't just mean flowcharting. Think about the system, the rules. What do you want the gamebook to achieve? Is it a boardgame-type adventure, in which case the tactical aspect is most important, or is it more about character and story? I'm mostly interested in interactive storytelling via apps. So more audio, more images. Text is a pretty odd medium for interacting, if you think about it, though it does have the advantage of being cheap. So there we go. Thanks, Dave! 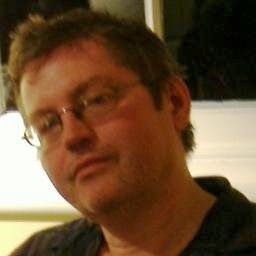 Dave's blog is here and you can buy his excellent books from Critical IF here. Personally, I disagree with the idea that a character's feelings cannot be described in the prose of a gamebook. I guess I am a target here, because I make a lot of the 'you'/character in the DestinyQuest books. In Book Three, out in less than a fortnight, I push this even further. Readers are like 'players' in a computer game - and are used to identifying with 'larger than life' (or lesser than life!) characters, from Lara Croft to Garret the Thief. It never destroys immersion in those games and yet you are playing them for 20+ hours. I feel if gamebook is to evolve - in my humble opinion, having more of that writers art in there is necessary. I don't think in 2014 we can get away with simple location descriptions and a 'what do you do now?' interactive point. If so, we as well go back to the adventure text adventures of the 80s. Right? I can't have explained myself very well if I gave the impression that I want to return to Zork-like text adventures! My ethic (based on being a role-player) is that the player is in charge. Removing that means you might as well just write a novel. Why doesn't that just lead back to Zork? Well, see Frankenstein, for example, or The Walking Dead, or some of Jon Ingold's work... Etc. I find this a fascinating subject when it comes to gamebooks. I think Frankenstein and the Walking Dead are stunning examples of the genre, pushing interactive fiction forward in exciting ways – and probably where it needs to be. I guess, they are also hybrids too – having strong central and identifiable characters, but also allowing the reader/player to have a say over their motivations and actions. I suppose I was thinking of the old traditional gamebooks (often still mimicked today), where the player’s character is barely referenced – a blank canvas. And I wonder if readers prefer that – to be able to project their own voice and appearance onto a character as you would in a role-playing game. I suppose my knee-jerk reaction to that was to go down a different road with DQ, where the character (who you are) is more embedded in the narrative (so more novel than gamebook). Always a fine line though – as you never want a character to act or do something without the reader’s say. However, how those choices play out is where the ‘feelings’ behind them can be explored more deeply in the narrative. I think there is a place for both types of writing - I doubt it is a debate that will go away, and that’s cool. It feels a great time (in terms of interactive fiction) for exploring different approaches. Great comments! Certainly, it's a very interesting subject. We agree with Dave's point of view about the wish for gamebooks: the interactive storytelling via apps with more audio and more images. That's a challenge for the gamebook app developers! It seems clear that a gamebook can be more GAME or more BOOK, and it have the features of both (gaming/narrative). It's amazing to explore the two sides!